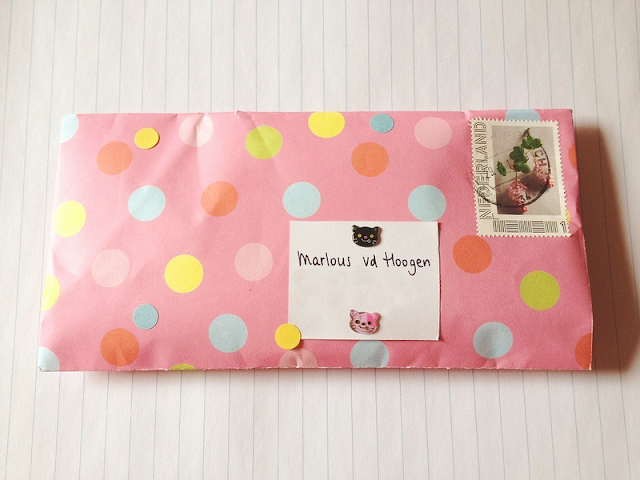 Last week I received this really happy dotted envelope from Marlou! 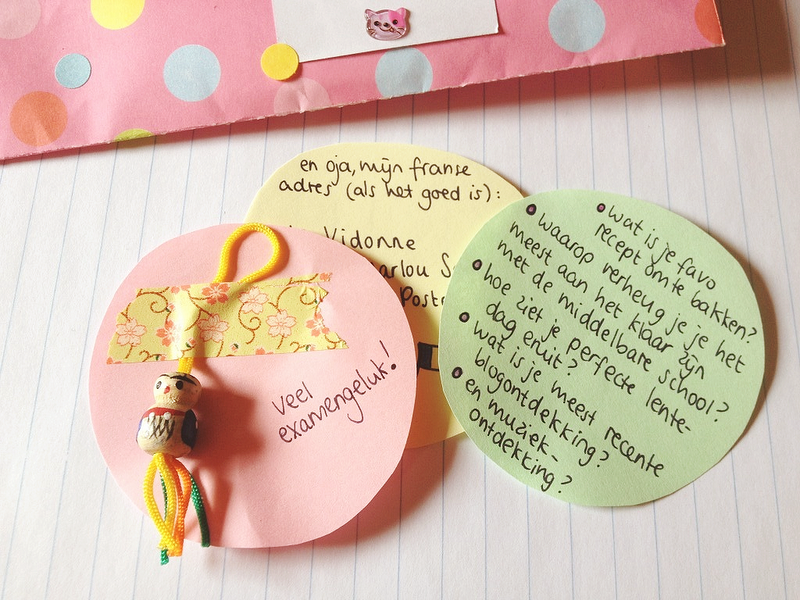 She included a lucky doll (thank you!) 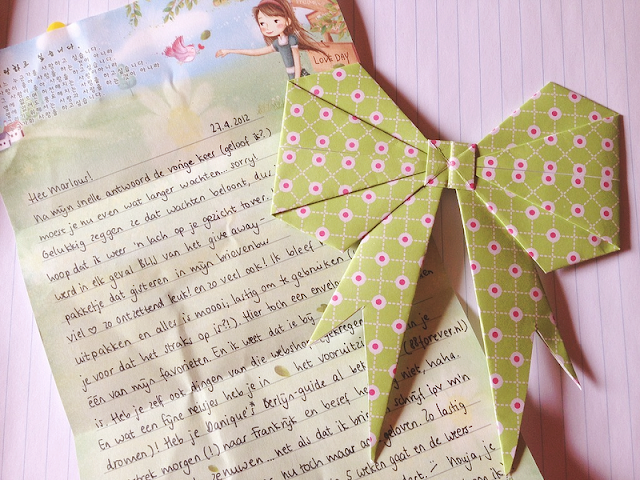 and a beautiful origami bow. I'd like to know how you did that Marlou, because they are lovely! Marlou is currently in France so my next letter to her will travel a little bit more :-).